Modern scales can measure body fat, muscle mass, heart rate, bone mineral mass and even your bodies’ water content. There’s tons of competition in the “smart” scale market with hundreds of different devices to choose from. The team here at Gifted Geek have researched the best products on sale in 2018 and have narrowed the list to just ten of the best scales. We know that not everyone is looking for a feature-packed and top-of-the-line product so we also checked out the best of the low-budget range – that’s scales priced at under £20. All of the products listed on this page have been handpicked and independently chosen by the folks at Gifted Geek. If you want more than just a set of weighing scales, check out our buying guide below. Some smart devices will measure your body’s heart rate, which is a key indicator of your overall health. 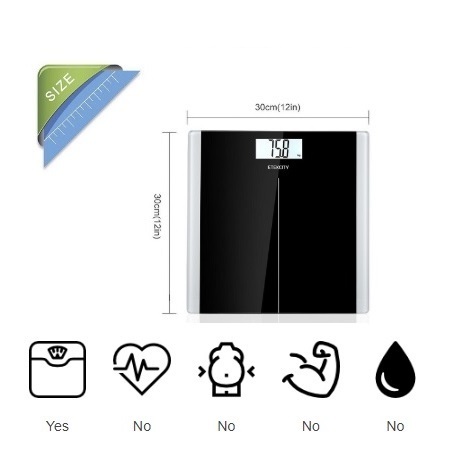 This icon indicates the smart device will accurately measure your body fat content as a percentage. Smart scales can even measure your body muscle, which is important for heavy but healthy athletes and sportspeople. Your overall hydration levels can be measured, which is important for those of you micro-managing your diet. For a feature-packed set of smart scales, look no further than the Tanita Innerscan BC 351 which is a full body composition monitor designed for home use. This clever device is super thin at only 15mm but is jam-packed with tech including a very accurate Specific Athlete Mode, also a Physique Rating, Basel Metabolic Rate and Visceral Fat Indicator. The maximum user weight is 150kg/23.6stone and can store details for up to 4 users plus a guest mode. We loved the Specific Athlete Mode as it’s well-known that certain types of athletes get incorrect readings on cheaper body monitors due to their high levels of heavy and dense muscle mass. If you’re looking for an affordable set of scales that will display accurate results but don’t want any of the extra features found in many other devices, this product is for you. The Etekcity High Precision Digital Scale is currently priced below £15. Features include 6mm toughened black glass, step on technology that will deliver accurate results as soon as you step on the device, a slim and sleek design, a two-year guarantee and a maximum user weight of 28 stone. We couldn’t find a better set of scales at this price range and while it lacks many of the advanced features found in other devices, it is one of the most accurate – to within 100g/0.2lb. This product was easily the best of the low-budget range we looked at. This Renpho FDA approved scale is made from sturdy 4mm tempered glass with reinforced plastic and is designed for ease of use. This device is easy to setup and connects with Apple Health, Fitbit and Google Fit so you can transfer your data to these popular apps. Renpho scales allow you to check 11 different data points, including weight, muscle mass, body weight, BMI, water content, bone mass, skeletal muscle and more. The maximum user weight of this device is an impressive 180kg and is one of the most popular scales currently on sale. 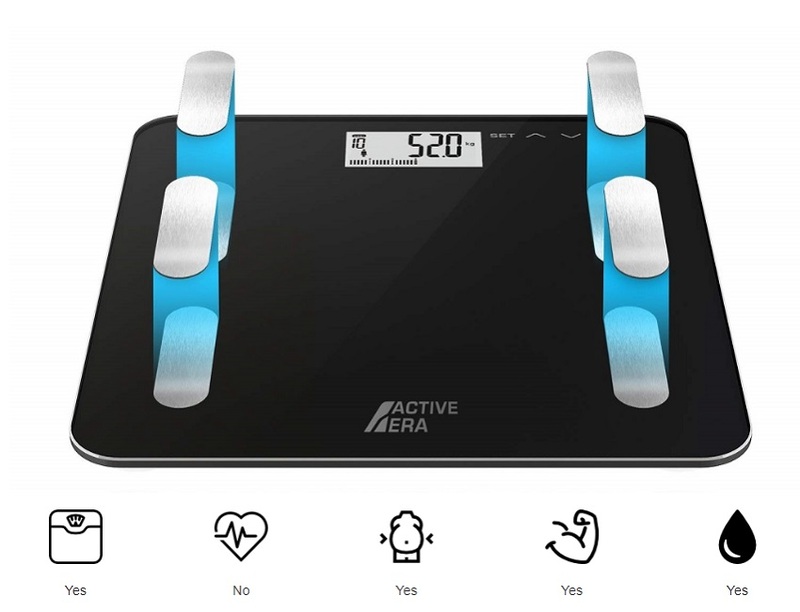 The Active Era body fat measurement scales is an extremely precise device with all the features you would expect of a more premium product. You can store up to 10 user profiles containing weight, body fat, muscle mass, bone mass, BMI and water content details. The Active Era scale will also provide you with a recommended daily calorie intake suggestion, based on your data. We think this is a great feature-packed product currently being sold at a reasonable price. Nokia now own Witherings and have incorporated their technologies into this latest body analysing and weight scale. 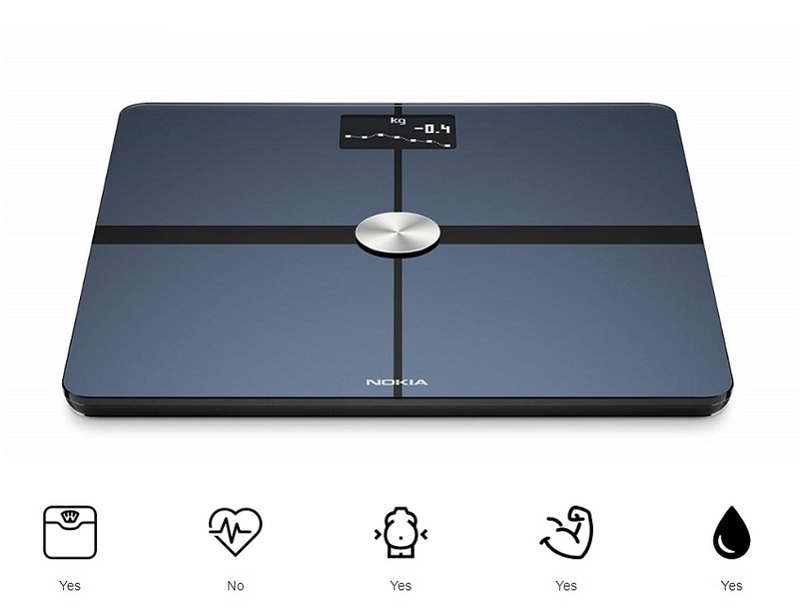 The Nokia+ scale provides you with a comprehensive overview of your health based on multiple data points. It even has baby and pregnancy modes which makes this product stand out in a crowded and competitive market. Use the Nokia+ to set realistic yet achievable weight loss and fitness goals, track your progress with the popular app and even track your nutrition. Nokia/Witherings are one of the most popular brands in this field and it’s easy to see why with this well made and practical product. Accuweight is another set of low-budget affordable scales that made it into our list. As the name suggests, this device is incredibly accurate, has a non-slip surface and is robustly made from durable materials. 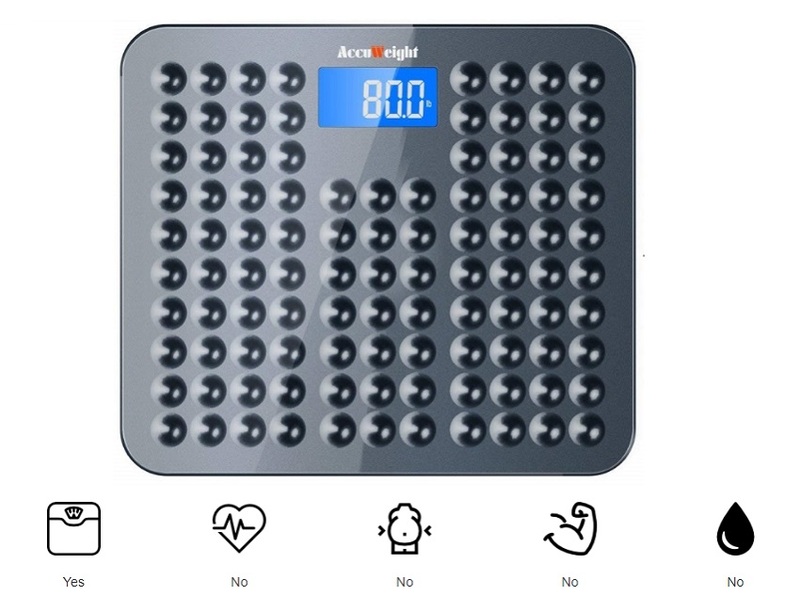 Unlike many other scales that are made from glass or other breakable materials, the Accuweight set of scales is designed with robustness in mind. From its non-slip surface to even weight distribution and smooth rounded corners, this scale is built to last. While it lacks the features found in many competing products, it’s accurate, has a digital LCD display and does what it says on the tin well. 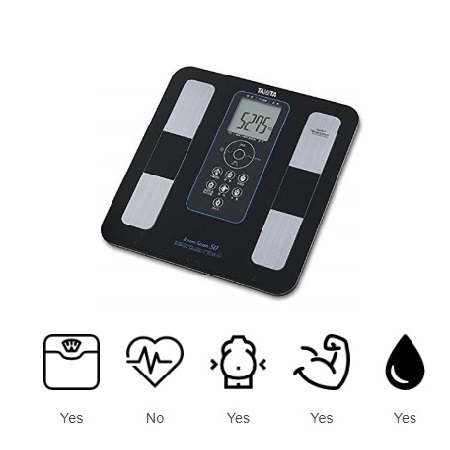 The Accuweight scale has over one thousand mostly positive reviews on Amazon and if you’re thinking about purchasing a low-budget device but want something accurate and durable, consider this product. 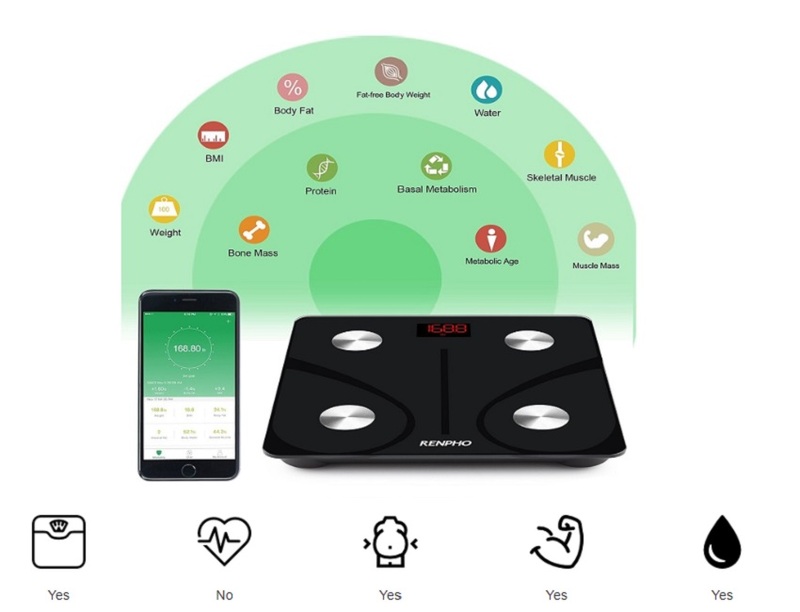 What really made the 1byOne set of scales stand head and shoulders above many of the other products we looked at was the sheer number of features given its price range. To put it simply; we couldn’t find a more feature-packed scale at a lower price. Online reviews are generally very good and the product comes with a 12-month warranty and 30-day money back guarantee. This device can store the results for up to ten users so is perfect for large households. We particularly liked the athlete mode which increased the accuracy for individuals that have more muscle than the average user. This feature is usually only found in models far in excess of this price range. 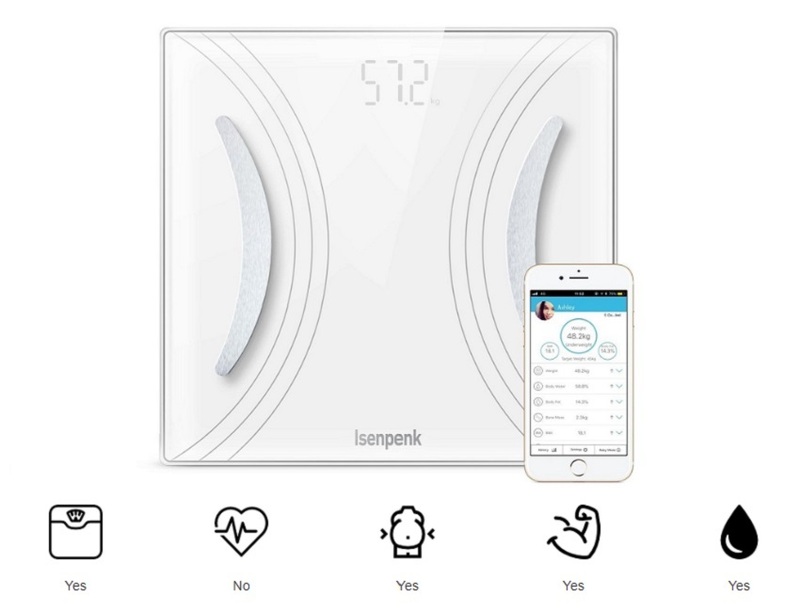 The Isenpenk body analyser and scale is the most app friendly set of scales we looked at. It ticks all the boxes you would expect at this price range; body weight, body fat, muscle mass, water content, BMI and BMR but also integrates well with existing health apps. With the iwellness 3.0 app you can sync your data with Fitbit, Google Fit and Apple Health making this one of the most app-friendly devices on the market at this price. 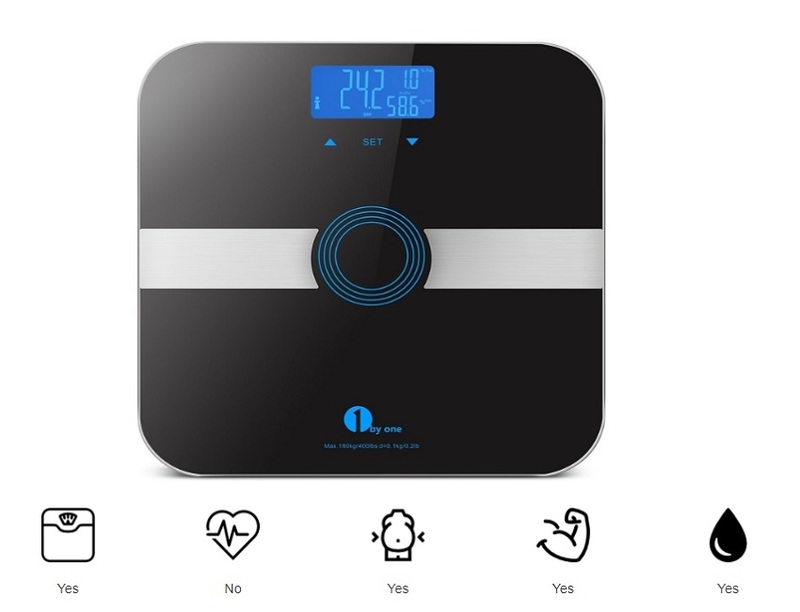 This Bluetooth enabled set of scales was very easy to set up with simple, straightforward instructions and the overall feel of the device is one of quality with plenty of features. We cross-referenced the results from the Isenpenk and found the accuracy to be average and roughly the same as the other devices at this price level. 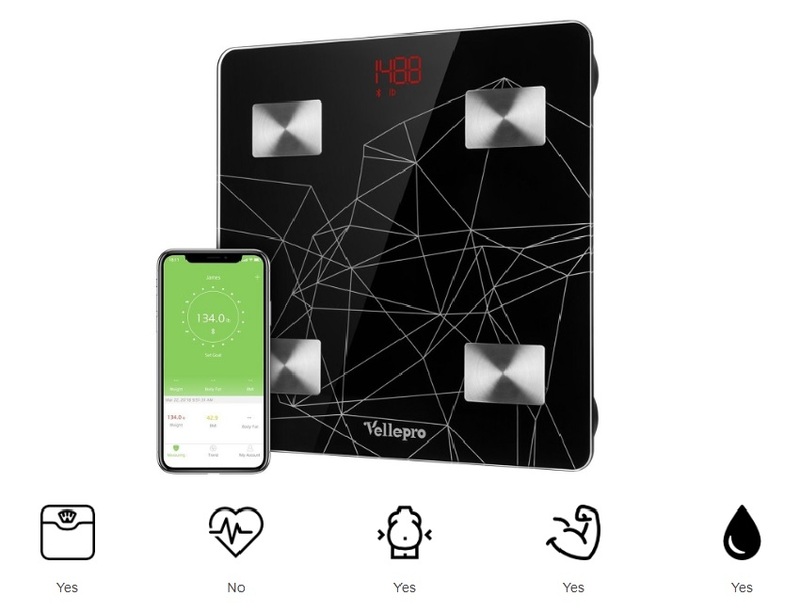 This Vellepro scale is another feature-rich app friendly set of scales that made it into our top ten list. This product stood out from the rest as you store unlimited results via a cloud-based storage system, making this device perfect for very large families or even a health club. The Vellepro contains a body analyser and is compatible with Google Fit, Apple Health and Fitbit apps. The 18-month warranty is also longer than the average offered by competitors and is in addition to a 45-day money back guarantee. The design is sleek and ultra-modern, aesthetically one of our favourites. 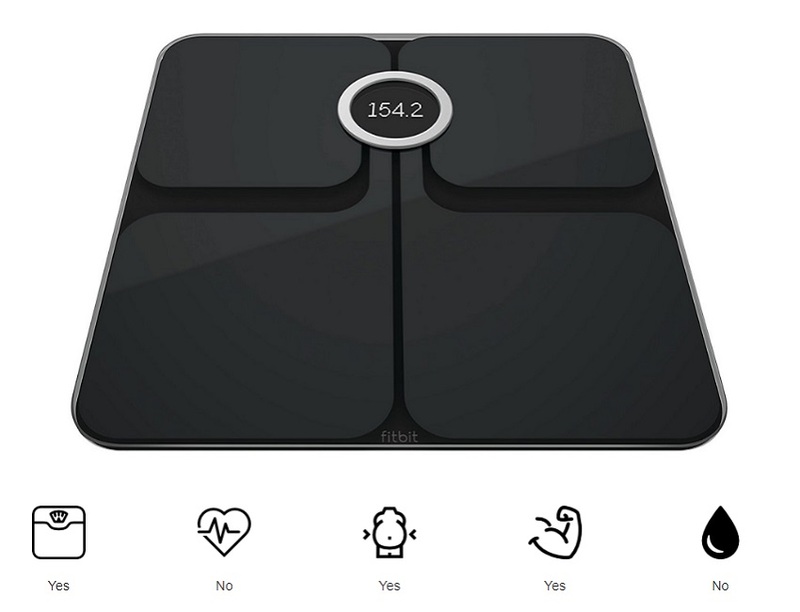 The Aria 2 is a unisex set of advanced weight scales incorporating many of the body analysis features found in competing products. What makes this product so popular is its compatibility with other Fitbit devices and the Fitbit app dashboard. This Bluetooth enabled device transfers data to your Fitbit dashboard app via encrypted wifi and can recognise up to eight different users. The Aria 2 makes compiling and viewing data from this body analyser and other Fitbit products easy. You can then see a complete picture of your current health. But what it does, it does well and the compatibility with the Fitbit app is a key selling point. How Do Body Analysis Scales Work? The human body conducts electricity, that is to say, it allows an electrical current to pass through it. However, different parts of the body offer different levels of resistance to an electrical current. Water, muscle and bone all conduct electricity differently. Body analysis scales work by transferring a small and safe electrical current through the lower half of the body. The results are then analysed and a picture of the body is then created, usually by displaying the data points either on an LCD screen or via a connected app. Most body analysis scales are accurate for the average user – that is, after all, that is what they were based on, data from the average person. You may find they are less accurate for athletes, those that are dehydrated or have unusually thick foot skin or calluses that may impede the electrical current. If you are an athlete, look out for devices that have specific settings for your body type. These are far more accurate but often cost two or three times as much as a typical device.